Even now, on the eve of Deal’s re-election bid, questions about the ethics allegations from four years ago have only grown stronger. His opponent, Jason Carter, returns to them almost daily. “Imagine,” he said in the first debate between the candidates, “a world where the governor comes on the radio and he’s not talking about an ethics scandal.” Common Cause Georgia says a jury’s $1.1 million award to former ethics commission director Stacey Kalberman underscores the need to reopen the investigation; Sam Olens, the state attorney general, dismissed Democrats’ earlier call to revive the probe as politically motivated. Technically speaking, all the complaints against Deal were resolved in 2012, when he paid $3,350 in administrative fees for filing defective campaign and personal finance disclosures. But a review of the commission’s files shows the investigation leading to that settlement was never really completed. Ethics commission staffers abandoned inquiries into tens of thousands of dollars spent on air travel and credit card charges, and questioned no one but lawyers for the campaign accused of wrongdoing. Deal, while denying misconduct, has sounded the need for reform, calling for more money for the commission and a restructuring of its leadership. Skeptics contend true reform must go farther by shielding the ethics commission from political pressure and giving it a dedicated source of funding. Deal’s campaign spokesman, Brian Robinson, referred our specific inquiries to the campaign’s lawyer, but not before scoffing at a suggestion that the commission’s probe missed anything. “We’ve answered all these questions over and over and over again,” Robinson told me in a recent telephone interview. Did Deal’s business profit improperly by leasing a plane and helicopter to his 2010 campaign? Did his 2010 campaign pay a supporter more than market value for office space? Did the 2010 campaign pay personal expenses of its staffers? Did Deal’s 2010 campaign spending help to pay off a six-figure tax lien on the plane used by the campaign? Neither Robinson nor campaign lawyer Randy Evans responded to a detailed set of follow-up questions on these topics. I tried to answer these questions by examining investigative files and other public documents. What did I find? Rather than ensuring transparency in a state with a legacy of graft and corruption, the ethics commission settled the case, providing few answers and sometimes none at all. 1. Did Deal’s Gainesville business profit improperly by leasing a plane and helicopter to his 2010 campaign? 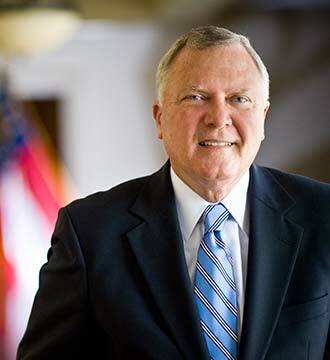 In 2009 and 2010, Deal’s gubernatorial campaign paid North Georgia Aviation, a subsidiary of his Gainesville auto salvage business, $201,200 over seventeen months to use a plane and helicopter that the subsidiary co-owned. That expense, plus $15,915 spent with other air carriers, was 70 percent more than air travel costs for Roy Barnes, his Democratic opponent, during the same period. Deal’s costs were so much higher than Barnes’s because, before paying for any flight time, the campaign was also spending $6,000 a month to help cover the owners’ loan payments, taxes, and other fixed costs. Deal’s top aide defended the arrangement as an arm’s-length transaction and said the other owners of the aircraft paid an identical rate. The plane, a Swiss-built Pilatus turboprop that seats nine was owned by HRPW Investments LLC, which took its name from the initials of the last names of its original members: Chris Riley, Deal’s congressional chief of staff, and Gainesville businessmen James Hough, Philip Wilheit, Sr., and Dr. Larry Payne. All but Riley donated to Deal’s campaign for governor; Wilheit served as the campaign’s chairman. By 2009, North Georgia Aviation and businessman Jim Walters, a longtime friend of Deal’s, had also become co-owners of the plane. The ethics commission accepted the campaign’s explanation without confirming the details with independent sources. The agency’s investigator testified later that she asked no one other than Deal’s lawyer for information on the campaign’s expenses. As a congressman, Deal had also used the aircraft without appearing to pay the monthly fee. His federal campaign account reflected $20,350 in air transportation costs to North Georgia Aviation over eight months between 2008 and 2009, but there is no mention of a monthly fee. A September 2010 complaint filed by gadfly George Anderson alleged that Deal’s campaign, by paying an inflated amount for air travel, was improperly benefiting his private business. State law bars candidates from using campaign funds for personal expenses. Sherry Streicker, who started as deputy executive secretary of the ethics commission just two days after Anderson’s complaint, went a step further in her initial investigation.She questioned whether the co-owners were paying the same costs as the candidate was. “We suspect that this entire travel plan was a method by which the Deal campaign used campaign contributions to make a profit out of North Georgia Aviation,” Streicker wrote in a February 2011 memo that is contained in the commission’s files. Nearly a year and a half later, Elisabeth Murray-Obertein, the ethics commission lawyer who worked on the case after Streicker left, told her superiors she needed more time to dig into the complexities of the plane expenses. She and Holly LaBerge, the agency’s new director, both said at the time that they did not believe the commission could consider the air travel allegations until they got advice from an outside attorney. But then, in July 2012, Commission Chair Kevin Abernethy scheduled a hearing on Deal’s motion to dismiss Anderson’s complaint. Murray-Obertein has maintained that LaBerge, Abernethy, and Deal’s lawyers kept pressure on her at that point to settle all the pending Deal complaints that month. Earlier this year,LaBerge said in an interviewwith Fox 5 Atlanta that Deal’s top aides pressured her to make the cases “go away” a week before they were settled. Deal campaign lawyer Randy Evans, making his case at the 2012 hearing, defended the expenses as “commercially reasonable,” noting the shared-ownership agreement had been negotiated long before Deal decided to run for governor. Records in the commission’s files, though, show Deal’s campaign did not step entirely into those shoes. According to the lease, North Georgia Aviation in June 2009 still owned its share of both aircraft and, even though it wasn’t paying the fixed costs, could use the plane whenever it wanted. Leasing the aircraft also hiked the campaign’s costs for flight time well above the $500 an hour that the ethics commission had establishedas fair market value for hiring a single-engine plane. The campaign paid $600 an hour until March 2010, when the hourly rate climbed to $650. By the end of 2010, campaign payments for flight time that exceeded the $500-an-hour threshold amounted to an additional $16,175. At the 2012 hearing, the five-member commission dismissed Anderson’s complaint, agreeing that its own rules on air travel for candidates were unclear. Four months later, the commission adopted a new guidelinethat said a campaign may pay fixed costs in shared-ownership agreements like Deal’s, as long as it’s paying fair market rates. In the Deal case, the commission did not determine whether the rates had been market value. Deal and his partner sold their auto-salvage business in June 2013. Three months later, FAA records show, HRPW Investments sold the plane to a Florida real estate investor for an undisclosed sum. 2. Did Deal’s campaign pay more than market value for office space? In the year and a half leading up to the 2010 general election, Deal’s campaign subleased about 1,150 square feet of office space at Lee Gilmer Memorial Airport in Gainesville. The landlord was Jim Walters, the Deal friend and co-owner of the plane. Walters rented a hangar at the airport from the city of Gainesville. Over eighteen months, the campaign paid Walters more than $76,000 to use the space as its headquarters. In 2010, its $54,167 payment to Walters worked out to just over $47 a square foot. Top-tier “Class A” office space in Atlanta fetches an average of $22.45 a square foot, according to CoStar, a commercial real estate research firm. Office space in an industrial area, though, costs even less—more like $16 a square foot. In atelephone interview, Walters said Deal paid market value for the space but he could not recall how the amount was determined. “We wanted to be sure everything was aboveboard,” Walters said. Any amount over market rates, he said, probably factored in Walters’ cost for the renovations. Deal’s campaign shared in those costs, records show. Disclosures from the campaign show that, besides the rent, it paid several thousand dollars to suppliers of building materials and $5,160 to the contractor for office construction. The building permit estimated the work would cost $12,000, not counting electrical and plumbing. Walters told me that owners of the plane and helicopter used by Deal’s campaign also paid $1,200 a month to lease space in the hangar. Combined with rent from the campaign, that was nearly twice what Walters was paying each month to lease the hangar. 3. Did the Deal campaign pay personal expenses of its staffers? Deal’s campaign paid about $155,000 in credit card bills in 2009 and 2010. But an audit by the ethics commission found his disclosures did not list all of the expenses on those bills, leaving more than $10,000 unexplained. Murray-Obertein told me she asked Vinson to explain the remaining credit card discrepancies but never received any information. A July 19, 2012 auditing memo by the commission kept track of them, though, noting that there were eleven credit card payments where the itemized expenses still didn’t add up to the total. Four days later, the commission voted to settle the Deal case, including the credit card discrepancies. A consent order treated them as technical defects, for which Deal was allowed to pay $1,050 in penalties without providing further explanation. 4. Did Deal’s campaign help pay off a six-figure tax lien? In June 2009, when Deal’s campaign leased the two aircraft, the plane’s co-owners were trying to come up with cash for sales tax that was never paid when they bought it. The purchase occurred in Louisianain 2007 but Georgia’s Department of Revenue, which monitors new aircraft registrations, was still trying to collect sales tax two years later. HRPW challenged the tax bill, filing papers to take the dispute to an administrative hearing, but dropped its appeal in January 2009, records show. The debt remained unpaid eleven months later when the state placed a lien on the plane for $362,777, an amount thatincluded sales tax, interest, and penalties. Early in 2010, Hall County filed its own lien on the plane for an additional $28,695 in unpaid personal property taxes. In an interview, Walters said the sales tax debt stemmed from a misunderstanding with the plane’s seller about who would pay it. Deal’s campaign payments to Walters’ business interests, he said, had nothing to do with the need to pay past-due taxes. She never found out. In June 2011, two days after the target date for serving subpoenas that might have answered that question, Streicker was cleaning out her desk and leaving the commission’s office for the last time. 5. Why did the commission obtain so few of Deal’s campaign records? Streicker, as she investigated Deal’s finances, came up with a number of questions by early 2011 that went beyond the allegations in pending complaints against his campaign. To sort them out, Streicker told me, she and Kalberman planned to subpoena a broad array of campaign and business records—including bank and credit card statements, corporate balance sheets, travel schedules, and pilot’s logs. The investigation stalled, though, shortly after Streicker briefed commissioners on her findings in May 2011. Within a month, the commission eliminated her job, ostensibly for budget reasons. Kalberman left a few months later after her pay was cut by 30 percent. Just before Kalberman resigned, the commission asked Evans, the campaign’s attorney, to turn over documents voluntarily instead. Evans balked, contending it could entail 250,000 pages. As an alternative, Evans offered to turn over documents relevant to the specific complaints pending against his client. Reframing the issues that way sidestepped many of Streicker’s questions. Narrowing the scope of the inquiry conformed with LaBerge’s belief thatthe investigation had expanded beyond the ethics commission’s authority. Murray-Obertein said she did her best even though she was never briefed on Streicker’s investigation. If those records were ever in the commission’s files, they’re not now. We found a copy of the campaign’s lease for the aircraft and North Georgia Aviation’s invoices to the campaign, but no canceled checks or bank statements to show they were paid. There’s no shared-ownership agreement or evidence of fees that co-owners of the aircraft might have paid. Between January 2011 and April 2014, the commission hired eight staffers—four of whom did not meet the minimum qualifications set forth in the job announcement. Last year, the commission waived more than $500,000 in late fees as a “courtesy” to offenders. The commission’s 216 open cases have been open an average of three years, and thirty of those have been open an average of seven. Jim Walls is the editor of Atlanta Unfiltered.